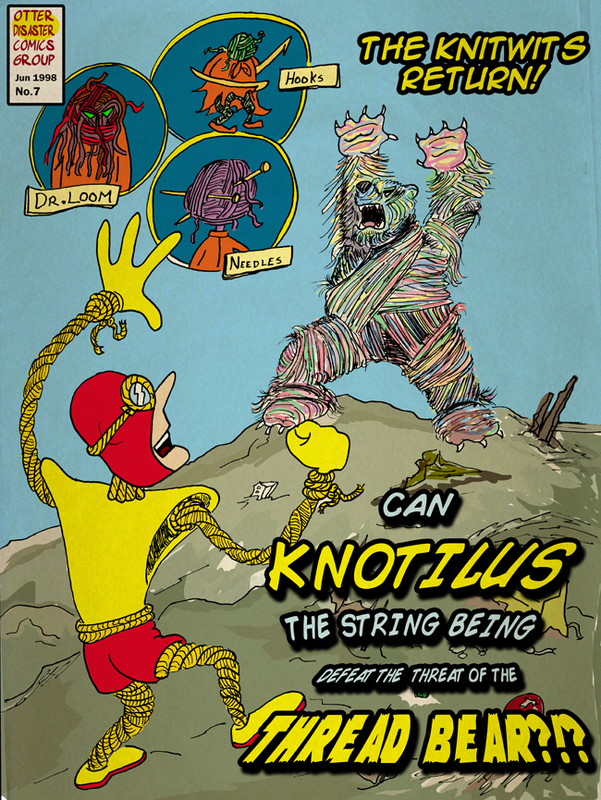 1998 gave us the 7th and final issue of Knotilus, the String Being, with Knotilus seemingly defeated by the unspeakable Thread Bear! The Knit Wits; Dr. Loom, Hooks and Needles, returned in this issue as escapees from prison after their initial defeat in Issue #1. The series was cancelled and this two parter was never completed. Sadly the 90s had a lot of promising, but incomplete comic book tales like this. Purl's forthcoming appearance as Dr. Lazarus Loom's wife was teased in this issue, but alas, the issue was never released.